The country’s capital market is hopeful that following positive policy reforms in 2017, foreign investor interest will continue, with sizable investments lined up to take-off ground in 2018. 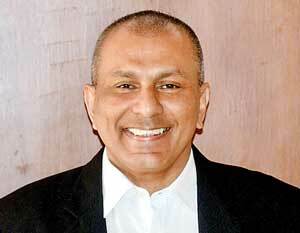 “We will certainly be encouraged by policymakers implementing investment friendly reforms aimed at growing business confidence and the investment climate,” Colombo Stock Exchange (CSE) Chairman Ray Abeywardena told Daily FT.
From a macro sense, he said the structural reforms implemented in the recent past were showing signs of gaining traction and the macroeconomic outlook continuing to improve has the potential to positively impact the market and investor confidence. “The Inland Revenue and Foreign Exchange Acts passed in 2017 were steps in the right direction and in that backdrop we are optimistic about similar growth-friendly reforms fostering positive sentiment among investors and all capital market stakeholders,” he added. He also confirmed that a few equity and debt issues were in the pipeline, including sizeable State-Owned Enterprises (SOEs). Outlining CSE plans for the year, Abeywardena said they expected to continue making progress in the areas of market development, product diversification, governance, market infrastructure and risk management, which he believes are the key pillars of the capital market development drive. CSE Chairman asserted that investors and stakeholders could expect a number of key developments in 2018, including possibly the first foreign currency denominated listing in the Sri Lankan stock market, and the CSE broadening its coverage to the SME sector – the backbone of the Sri Lankan economy. “It will be an active year in terms of initiatives to develop and create awareness and we expect the continued support of all our stakeholders,” he added. In terms of market performance, amid a number of positives in 2017, he believes the market will continue to offer attractive valuations and further buying opportunities for investors accompanied by a supportive growth backdrop. “We are still among the cheapest markets in the region in terms of valuations and remain competitive even with more developed markets. We are particularly keen to see both local retail and institutional investors capitalise on these opportunities to play a broader role in the market. We also intend to take advantage of the remarkable foreign interest we have seen in 2017 to further promote investment in the Sri Lankan stock market in key foreign markets. We hope this effort, targeting all segments of our investor base, will further improve our trading activity levels and attract and engage a broader active investor base during the year,” he said. With the recovery of the US economy, he presumes the CSE will not face an adverse impact as its foreign investors have been generally investing over a long period of time. “The diversification opportunity CSE offers over other development markets is significant. Unless there are new factors in the global environment emerging in the future, I believe we will see our share of foreign investment continuing. The positive factor is that we have seen interest from portfolio investors from other parts of the world, including Australia and Japan, increasing in recent times,” he pointed out. Highlighting that the capital market is an important economic institutionwhich can play an effective role in channellingsavings to investment, he called on market participants to make use of the technology platforms and infrastructure that the CSE has built over 30 years.